School’s out and summer is in! Throughout the school year, children who rely on free or reduced price lunch at their schools are suddenly faced with hunger during the summer. Summer Eats is part of a federal program that tries to address that gap. 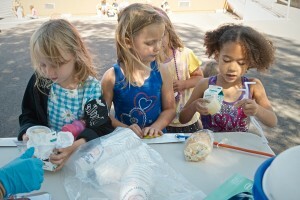 This year, HIP is running nine summer meals sites throughout northeast Seattle and southeast Shoreline. Two of our sites are closed sites, meaning they’re not open to everyone. All other sites (see full list on the right) are open sites, and everyone is welcome to any of those! At HIP, we realize that when a child is hungry, their parents are not getting proper nutrition either. Therefore, at all our sites, we also serve meals for parents. We need many volunteers to prepare the meal, serve them at our seven sites five days a week, organize and lead activities with kids and teens, and much more! If you are interested, please contact Alex at Alex@HungerIntervention.org or fill out our volunteer form. In addition to meals, we bring many fun and educational activities to our meal sites in partnership with other organizations. See the calendar below for more details. We are adding more fun activities regularly, so keep checking in throughout the summer! You can also download our Summer of Fun flyer and calendar here.